Welcome to April! It's crazy how quickly the year goes. I feel like the holidays were just yesterday. We are now a quarter into our year, so it's time for us to do a check-in on our goals for the year. As many of you know, we are big on setting goals when they are done in a thoughtful way. We’ve written blog posts on this topic before but it’s always good to review. It's also never too late to set some goals! Today though, I want you to do a check-in with the goals you have already set. If you're like most people, you probably check-in on your progress once a year around the fourth of July. Since our goals can often be big, I'm advocating that we check-in more than once a year. There are many strategies for staying on top of your goals, but here are three tips for doing your check-in. Sometimes our “eyes are bigger than our stomachs” and we commit to too many goals. This leads to anxiety about our goals in general and often times, to paralysis by analysis where nothing gets done. During this check-in, look at your goal list and cross out anything that doesn't seem as important to you as it did when you wrote it. Really... it's ok. Do like Marie Kondo would do and ask if it "sparks joy". If it doesn't, cross it off your list; you can always try again another time. This practice will free up your brain space for the goals you actually care about and make it much more likely that you will reach your remaining goals! Often when planning the year ahead, we set big, but vague goals. First and foremost, we advocate setting specific goals with metrics that can be tracked. Let’s say you did that, but are still feeling overwhelmed by the goal you set. Try breaking it down into the smallest part you can. As they say, "you can't eat the elephant in one bite...". Try not to think about accomplishing the overall goal, but rather, what small thing can you do today to move forward on the goal. More specifically, what tiny thing can you do today that you think you could repeat tomorrow? Let's say you have a goal to sell $1,000,000 in new business. On its surface, this might look audacious. However, when you break it down into parts, it becomes less scary. Let's say this means you need to get 120 more leads a year. Well, that's 12 a month or 3 a week. That doesn't seem so bad. Go further though. Let's say to get those leads, you need to make 60 more sales calls per month than you normally do. That's 15 calls a week. That's 3 a day. Could you find time for 3 more sales calls a day? How about 2? Even just 1? Habit Journal - if you're into paper or journaling, create a list like the one below. In these journals, you mark each day complete when you accomplish that goal for the day. This allows you to break those goals into tiny chunks that you can crush daily. 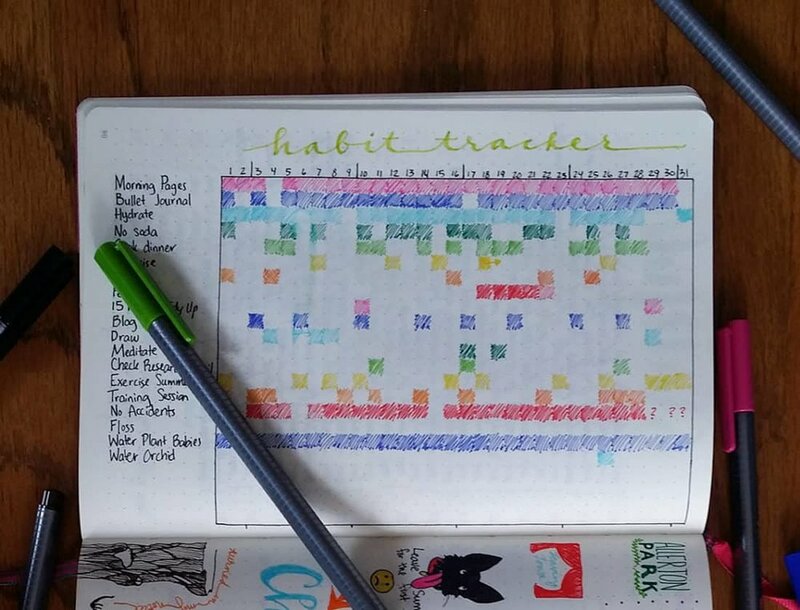 For more info on this, visit this site that lists all sorts of habit journals! 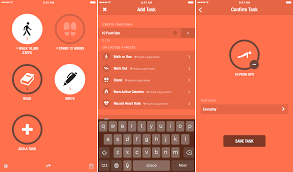 Streaks App - Similar to above, but for our digital lives. Set up the activity you want to track and it's frequency, It will remind you and once you've completed it, you simply mark complete. It then tracks your streak progress. Once you've started a streak, you won't want to break the link in that streak, so you'll be more likely to do the activity. All of a sudden you'll turn around and have a habit! Overall, it’s important to check in on your goals often. Hope these tips for tackling that help! Let us know what other tips you may have for keeping track of your goals.